Home Bengaluru FC I-League Why Ashley Westwood's Wage Drop Makes Sense? Why Ashley Westwood's Wage Drop Makes Sense? Ashley Westwood, who led the JSW owned Bengaluru FC to their second I-League title in 3 years on last Sunday dropped a bomb in the post match conference when he revealed that he may leave the club at the end of the season as the club has offered him a new contract with reduced wages. The former Manchester United Youth Academy product joined Bengaluru FC in its inaugural year and went on to win I-League, India's top flight football league in their first season itself. 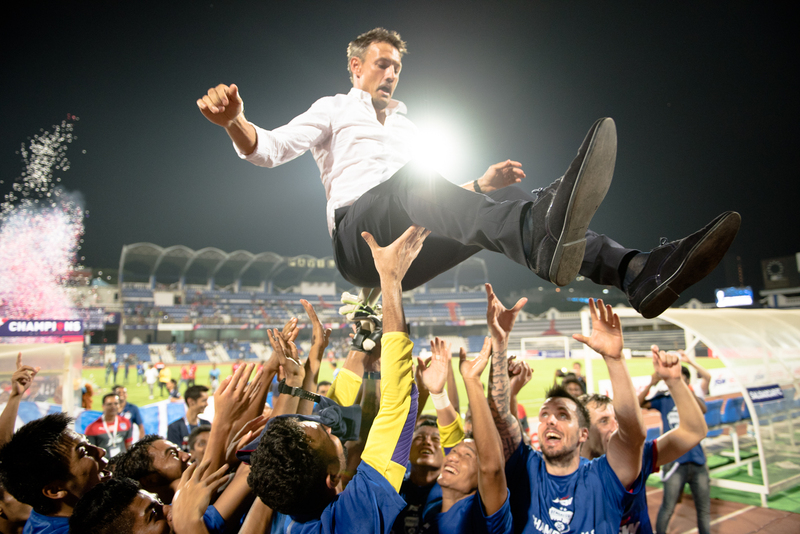 Westwood, in his three years at Bengaluru has been instrumental in making the club a formidable force in Indian football with three national titles in three years is the proof of it. Thus the news of him possibly leaving the club due to reduced wages came as a shock to the fans and supporters of the club for whom he is nothing short of a Legend. But is it really unfair of Bengaluru FC, owned by steel Baron Sajjan Jindal, that they repay him with a pay cut? A deep look into the condition of Indian football and it may not seem illogical. When Ashley Westwood joined as the Head Coach of Bengaluru FC in 2013, I-League had 13 teams in the top division with the season starting in September and ending in April. Also, there was Federation Cup to look forward to. And add to it the pre season friendlies, they had a season that ran for 9 months with at least 30 matches. In the subsequent year, ISL was launched with its season running from October to December leaving only a 6 month window for I-League. Also, AIFF axed four clubs namely Mohammedan SC, Rangdajied United, United SC and 2-time Champions, Churchill Brothers. Addition of newly promoted side, Royal Wahingdoh FC and a new franchise from Pune, Bharat FC meant that I-League would have 11 teams in 2014/15 season. AIFF also decided to discontinue Federation Cup after its 2014 edition citing an overcrowded season due to the parallel existence of ISL and I-League. After 2014/15 season three I-League clubs: Pune FC, Bharat FC and Royal Wahingdoh FC disbanded their senior teams stating lack of road map for Indian Football. The 2015/16 season was reduced to a 9-team affair, the lowest since its inception in 2007. AIFF had to revive Federation Cup so that Indian clubs can compete in Asian Club competition because AFC regulations require clubs to play at least 20 games in a season to play in AFC Champions League or AFC Cup. So, this year when the Federation Cup ends in late May, I-League clubs will have an off season of seven months with the players being released to play in Indian Super League's 3rd edition. 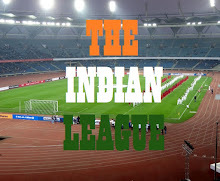 With ever deteriorating scenario of Indian football, no body is sure whether how many clubs will be interested in participating in I-League, the next season. There was already a rumour doing rounds last year that Salgaocar FC would have been disbanded had they got relegated. I-League's 2016/17 season (which may also be its last if the rumours of I-League/ISL being merged in 2017 is found to be true) will start in January and with AIFF refusing to promote two teams from 2nd Division, will most probably continue to be a 9 teams affair. Chances of another corporate backed club to be added seems bleak with no clear financial model of I-League. This means that Bengaluru FC will play 16 I-League games, 8 AFC Champions League/AFC Cup matches and if Federation Cup is continued in its current format, two more matches. This brings it to 26 matches in 5 months. So, it is only logical that Bengaluru FC have offered a contract to Ashley Westwood with reduced wages. They cant be expected to pay him for a whole year, when his services is required for only 5 months. Also, during the off season, Ashley Westwood would be employed by Star Sports as a football expert for Pre and Post match shows during Indian Super League. And Ashley Westwood isn't the first one to earn a Pay cut. Many players were left clubless after Pune FC , Bharat FC and Royal Wahingdoh FC withdraw from ISL. Peter Vaz, Owner of Sporting Clube de Goa, claimed in an interview that many players were ready to play for free. Such are the dire state of Indian Football. So, until and unless the chaotic schedule of Indian Football schedule is sorted out with One League running for 7-8 months, the clubs can't be expected to splurge high amount for Coaches and players.